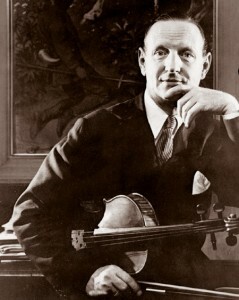 BYU's Primrose International Viola Archive, named for eminent violist William Primrose (above0, informs and inspires violists--and others--worldwide. 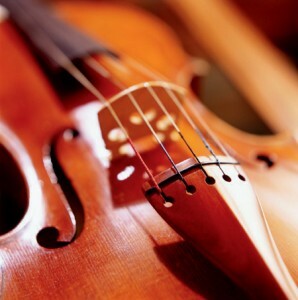 The viola, the underdog of the strings, is a peculiar musical instrument tuned a fifth below the violin. Properly played, the distinctive bottom string of a viola can bring unbidden tears to the eyes of an audience. But the viola’s position in the midst of the orchestra and the relative scarcity of major pieces written for the alto instrument has historically invoked a painful litany of jibes from higher-strung musicians. But on the fourth floor of BYU’s Harold B. Lee Library, the viola plays second fiddle to none. In fact, the Primrose International Viola Archive (PIVA), with more than 5,000 collected works, is the most comprehensive collection of materials related to the viola on the planet, a great resource and retreat for those musicians most often trod upon. David Dalton, a BYU emeritus professor of music, spent 20 years building the Primrose International Viola Archive into the most comprehensive collection of viola materials in the world. The archive started from the personal library of William Primrose, Dalton’s mentor and a former BYU lecturer. Photo by Bradley H. Slade, ’94. 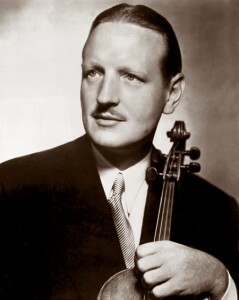 Primrose has been called “the first star of the viola” and “the world’s greatest violist,” and for his musical accomplishments, Queen Elizabeth II granted him the title of Commander of the British Empire in 1953. A viola pioneer, Primrose made the stringed instrument played by Beethoven, Bach, and Mozart more popular in modern times. A number of concertos were written specifically for Primrose, who became an accomplished arranger and editor of viola music himself. Dalton, who studied under Primrose at Indiana University and collaborated on his memoirs, invited the virtuoso to Provo. Primrose accepted and spent the last years of his life, 1979–1982, at BYU as a guest lecturer in the music department. 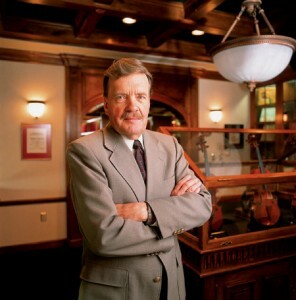 With encouragement from Dalton, Primrose donated his personal library of annotated scores, manuscripts, recordings, letters, photographs, and other memorabilia to BYU. Then in 1981 the archive of the International Viola Society moved from the Mozarteum in Salzburg, Austria, to the Harold B. Lee Library. 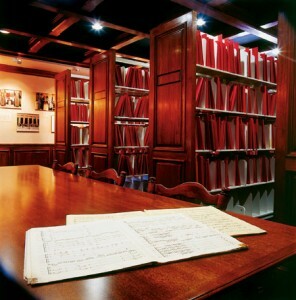 This relocation more than doubled BYU’s collection to over 2,000 viola scores, and the William Primrose Library became PIVA, now the official archive of the International Viola Society and the American Viola Society. The new space for the archive was dedicated in March 2002, celebrating the 25-year efforts of Dalton and gracious donors, and is a place both pleasing and practical. Through the door, upon which the likeness of a 16th-century Gasparo da Salò viola is etched, there are two rooms joined by an arched opening—the architecture reminiscent of an old-world library. The handcrafted butternut woodwork complements the green panels of the coffered ceilings, its soft glow also warming the wainscoting and cabinets, inlaid with thick, bubbled antique German glass. Viola clefs and primrose blossoms appear throughout the rooms, repeated motifs carved in wood or engraved in metal escutcheons. Such careful detail reveals that the archive’s namesake was clearly revered. On the wall hangs Primrose’s pedagogical genealogy, tracing his teachers and his teachers’ teachers through time. 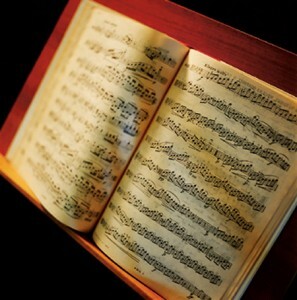 It reads like a who’s who of musical history and extends back to violinist and composer Arcangelo Corelli (1653–1713). While the Primrose Room shares the history of great artists, the adjoining room—the PIVA—puts today’s violists to work, offering access to a remarkably comprehensive resource. 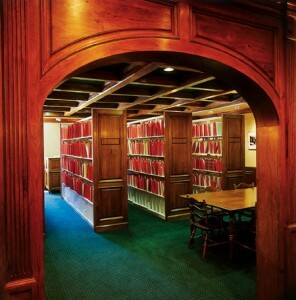 Scores of scores line four long shelves—thousands of printed pieces of viola music with a distinctive cream-colored cover and red binding. 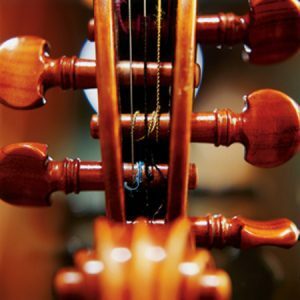 With this rare resource comes the opportunity for students and teachers… to tuck a bit of history under their chins, draw a bow across the strings, and discover a harmony within themselves. Behind the shelves are three study carrels with computers. Many of Primrose’s recordings (on CDs) can be borrowed from music special collections or experienced in audio and video on the Internet at viola.byu.edu. Those unable to travel to Provo can also benefit from the massive printed collection. “We have this wonderful resource of printed viola music that goes out through inter-library loan on a regular basis and can be an incredible resource for the international viola community,” says Bigelow. 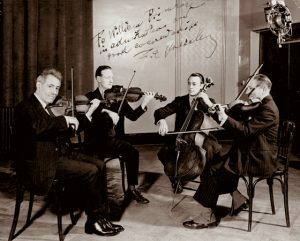 The Primrose room provides violists worldwide with thousands of scores as well as access to letters and photographs celebrating the accomplishments of William Primrose. For BYU students and faculty, the room is a valuable resource for teaching and learning. Photo by Bradley H. Slade, ’94. The PIVA lies at the top of well-worn stairs and tucked down an unremarkable hallway. But classical music lovers and violists everywhere are learning where to go if they want to immerse themselves in the world of the viola. And in this room that honors great artists and teachers throughout history, the business of teaching continues. “When I need some type of interesting piece that will really connect with a student—a piece of music that will really connect with their heart but also develop their technique and help them stay motivated—I come to this room and look for something unusual,” says Bigelow, who has succeeded Dalton as manager of the archive. Listen to recordings by William Primrose and read more about the archive at viola.byu.edu.